The museum’s archives contain a small but delightful collection of film and videotapes, detailing all sorts of subjects–from small films produced by the museum for various projects and exhibitions over the course of its history, to an odd yet enchanting assortment of documentary and artist-related footage. 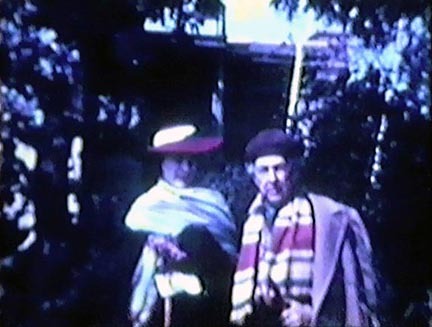 But of all the film gems in the archive, my top favorites are two films of very rare footage of the internationally celebrated architect Frank Lloyd Wright which spans the 1930s into the early 1940s. 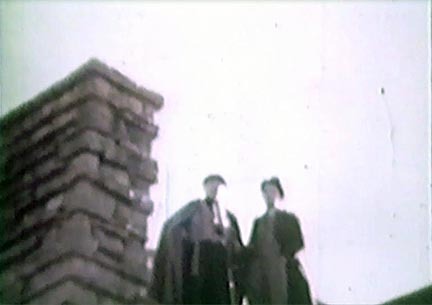 Both films were donated to the museum from the personal collection of Joan Salzstein. She was the granddaughter of Dankmar Adler, one of the renowned architectural duo Adler & Sullivan, who changed Chicago’s skyline at the turn of the 20th century. Wright worked for and studied under Adler, and his granddaughter Joan became a regular visitor to Wright’s home and farm at Taliesin in Spring Green, Wisconsin, for many years. 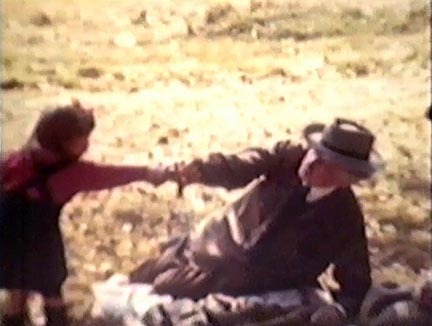 During those visits, she captured the atmosphere of daily life at Taliesin on film. At Taliesin, Wright and his students worked in an environment of innovative organic architecture enfolded with nature–a vivid tableau that inspired his work and that of his students for years to come. 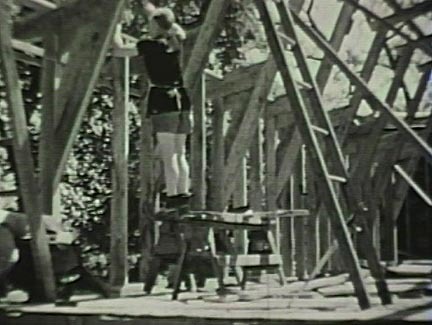 The earliest footage produces images of the students assisting in the building of the dormitory on the Taliesin grounds, performing various tasks inside the house, as well as working in the fields, for Taliesin was a fully sustainable farm. In many ways, Taliesin firmly embodied the tradition of the artists’ colony, where artists could work and congregate, enriching and stimulating their art beneath the direction of a master. 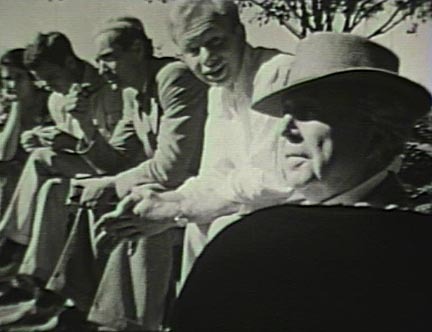 Film still: Frank Lloyd Wright with his students in the garden at Taliesin, early 1930s. Milwaukee Art Museum, Institutional Archives. Yet there was also an air of family, and friends and relatives continually visiting made much time for play and recreation. There’s no question once you see these film stills: Wright liked to have a bit fun. 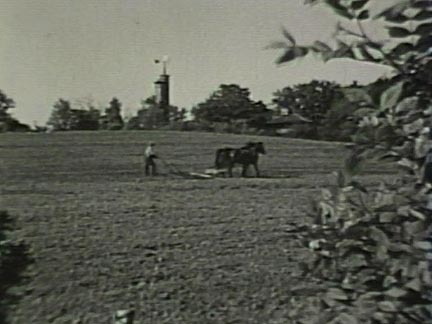 The footage shows Wright and his group strolling along the gardens of Taliesin, enjoying the beautiful weather and bright sunshine, then venturing out into the woods or the rolling prairie for a drive to picnic and relax, as the children race around. 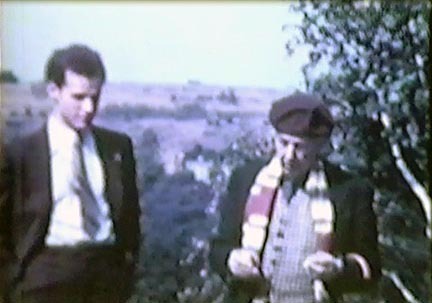 There is no sound for these “home movies,” but as you watch the films, you can almost hear the hum of conversation and the rhythmic laughter that must have risen to the rafters of Taliesin, then drifted out among the breezes to the open fields and woodlands surrounding it. 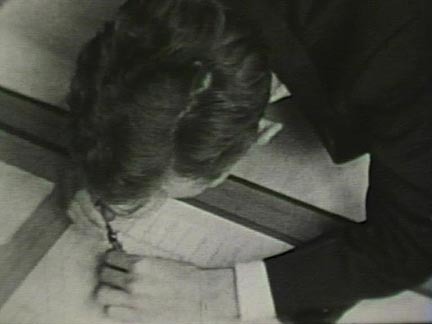 The first film (stills shown above) is entirely in black and white, as is a small introductory portion of the second film. But after a minute or two, Wright suddenly transforms from monochrome to the softly faded, somewhat hazy, yet still vivid hues of early color film. It is in these multihued reflections that I come to adore him even more. Wright and his life are immortalized, in a style that conjures up the old family films tucked away in our dim closets and dusty attics, personal and magical. It is a rare privilege to see such a great artist in such an informal and inviting manner. 1940s. Milwaukee Art Museum, Institutional Archives. 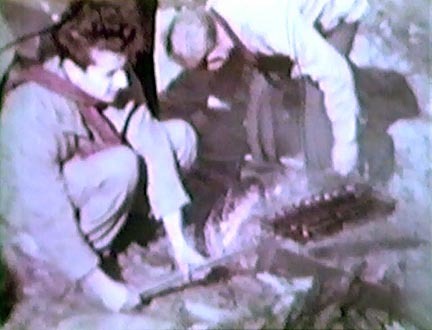 Film still: Roasting hot dogs during a picnic outing at Taliesin, late 1930s-early 1940s. early 1940s. Milwaukee Art Museum, Institutional Archives. 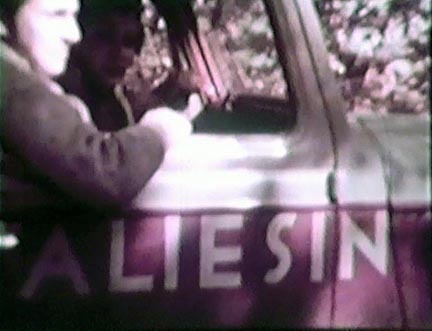 Taliesin, late 1930s-early 1940s. Milwaukee Art Museum, Institutional Archives. If you love these color stills as much as I do, be sure to catch the museum’s upcoming feature exhibition, Color Rush: 75 Years of Color Photography in America (opening on February 22, 2013), which traces the interconnected history of color photography in the United States from 1907 to 1981. This entry was posted in Art, Behind the Scenes, Library/Archives and tagged architecture, archives, film archives, film stills, Frank Lloyd Wright, library. Bookmark the permalink. This just may be the highlight of my day. I am a huge fan and will most def attend the upcoming exhibition!!! !